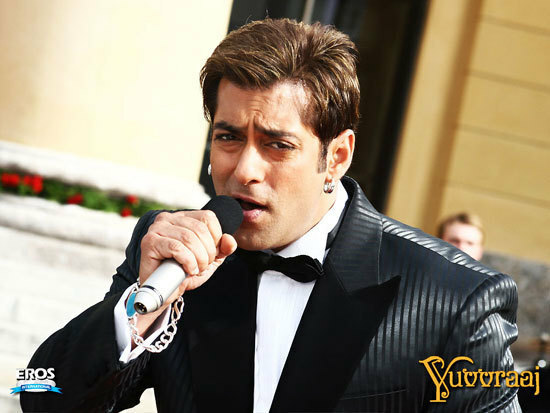 Yuvraaj is a musical that revolves around a family based in Europe with Salman and Katrina in the lead roles. Salmaan and Katrina are back to sizzle the screen. Subhash Gai‘s YUVRAAJ have Salman and Katrina in a rare role that never happened on screen before.”The Salman Katrina magic is all set to cast its spell on the audience,” said a source close to the couple. David Dhawan was the first to pair Salman and Katrina together. MAINE PYAR KYUN KIYA rocked the boxoffice. Sallu and Kat’s ‘Just Chill’ number turned a rage.PARTNER created history even though Salman and Kats were not paired together in the film. Subhash Ghai, whose YUVVRAAJ is expected to hit the theatres soon, felt that Salman and Katrina as a pair rock. “They are lucky for each other,” the source said. “For Ghai it is the first time they are paired opposite each other and the chemistry between the two is super sizzling. They look so good together.